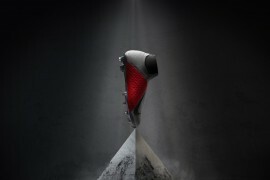 Despite having barely made it’s way onto store shelves, developer Konami are keen to prove their worth as the kings of DLC (Downloadable Content) with a whole host of new football boots and some new kits landing on PES 2012 tomorrow. 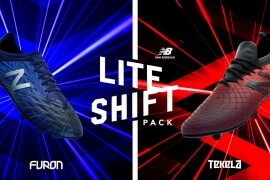 Despite many reviewers giving FIFA 12 the nod this year over the Pre Evolution franchise, one area in which Konami always come up trumps is providing update packs for all the big football boots and kits releases. 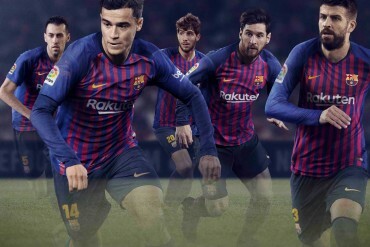 The 2012 incarnation of the popular soccer sim is set to be no different, as the digital stars of the game will be able to kit themselves out in a host of new gear that didn’t quite make it in time for the release. Whilst past updates have included new football boots from the likes of Umbro & Mizuno, this update includes only soccer cleats from the ‘big three’ of Nike, adidas & Puma. As well as new boots, 29 teams will have their kits updated including Real Madrid, Inter Milan, Sporting Lisbon and Bayer 04 Leverkusen. We’re a little bamboozled as to how the new Volt Superfly III’s manages to get into the line-up but not any of the other new Nike winter releases; particularly the Nike T90 Laser IV, which you would expect Nike to want to be everywhere as it gears up for release. But still, Gift Horses and mouths and all that – we thing that’s a pretty good update, so props to Konami for getting this update out there so quickly! Which boots would you like to see in the next piece of DLC? PES is and has always been far ahead of FIFA in terms of realism and reflecting real life football. PES 2012 is a great improvement and probably the best PES ever. DLCs are always fun and exciting to download. Even though there are already 3 models from Mizuno in the game, I would wanna see more colors added along with the T90 Laser IV in the next update. Its all about playability not the dlcs and thats why Fifa 12 is better than PES. PES 5 was the last time Konami made a decent football game. But the greatest football games ever was sensible soccer then kick off 2. 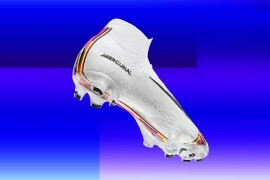 It’s sad that all these boots are already on Fifa 12. And Laser III???? Fail. In case Konami didn’t know, Laser IV has been out for a while now. Fifa will always be better than PES. Get over it PES fanboys. And this is coming from someone who was a PES fan until 2009.
thats a lot of boots updates, will FIFA 12 do the same ????? They need some Asics, Diadora and Lotto boots! How can Asics be out of the game since it is one of the most used brand of cleats in the whole Italy? Diadora and Lotto also should be added for being worn by some star footballers, like Cassano, Felipe Melo, Reto Ziegler, Giuseppe Rossi and Lanzafame.